There is no shortage of high-quality tennis coaches on Long Island, and the area has helped grow some of the best players in the country. But few of those coaches carry the type of background and experience brought to the table by Andrea Retolaza. Retolaza comes from Spain where she began training as a junior player at the famous Sanchez-Casal Academy, and her tennis game flourished. She then was a WTA ranked player before playing Division I tennis in the United States. But Andrea suffered injuries during her playing career, which began her desire to learn more about injury prevention. She carried that interest in injury prevention to Wake Forest University, where she studied exercise physiology anatomy, while playing for the women’s tennis team. 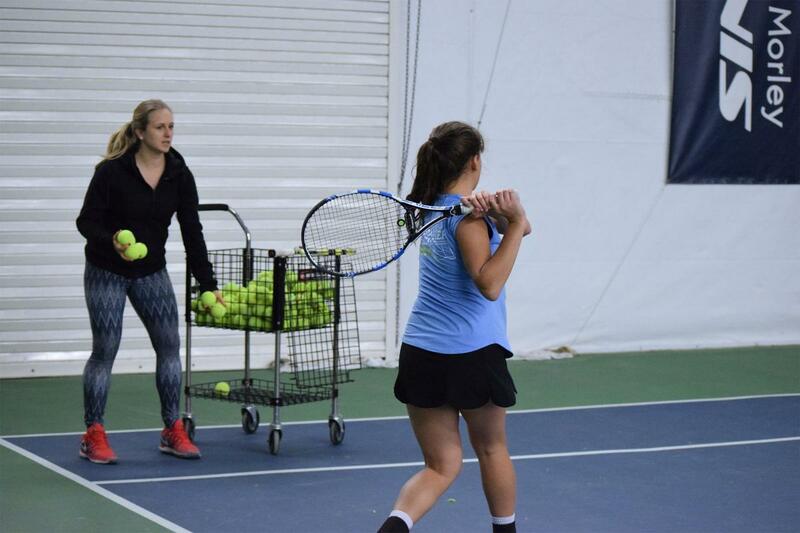 At Christopher Morley Tennis, Retolaza works with the program’s top junior players, including nationally-ranked Rachel Arbitman. Retolaza does extensive work with the biomechanics of the player’s strokes to not only gain strength, but to also avoid injuries. Andrea Retolaza has been integral in the growth of top junior players including Rachel Arbitman. Retolaza has experience working with a wide range of players, from the junior level all the way through to the professionals. She played a large role in helping former world number four and recently retired Daniela Hantuchova come back from injuries, focusing on her recovery routines, nutrition and compensation exercises. She is also part of the coaching staff of pro players, including Julia Glushko, Arantxa Parra and Lara Arruabarrena. Because of her knowledge and experience playing on the team, Retolaza has consulted with the Wake Forest team at the request of Head Coach Jeffrey Wyshner. And that is the message Retolaza tries to pass along to the junior players she works with: Learn from the mistakes she and others have made. Her background helps reinforce her message, as her routines have worked for top college players and some of the world’s top professional players. Retolaza’s knowledge of not only tennis but the anatomy and biology behind what makes a sustainable player makes her one of the more dynamic coaches in our area. With her innovative instruction, she is helping create the next crop of successful tennis players on Long Island … the ones who will walk away from her with an understanding on how not only to rip a forehand, but also how to properly take care of one’s body so they can become a better, more consistent player while avoiding injuries.